David Kessler On Grief and Grieving is organized by PESI HealthCare and will be held on Apr 30, 2019 at Holiday Inn Hotel & Suites Oakland - Airport, Oakland, California, United States of America. The target audience for this medical event is Counselors, Social Workers, Psychologists, Nurses, Case Managers, Marriage & Family Therapists, Chaplains/Clergy Hospitals, Palliative Care Services, Other Mental Health Professionals. Course Description: Grief and grieving. It’s traumatic. It’s awkward. It’s painful. As professionals, we are expected to have the right words at hand, the right actions to recommend, and the right response. Most of us fail shamefully due to a lack of grief emphasis in our training. Every client we will see will experience loss in their life. Join David Kessler, international grief expert, author and practitioner and transform your practice, your life, and learn the art of caring for the grieving. You will then know the right words and actions to truly be of help to the dying and grieving. Course Objectives: • Explore the dynamics of different types of grief and the healing processes associated with each. • Specify age appropriate grieving milestones that occur across the lifespan. • Articulate the somatic response to grief and identify how to manage residual grief in the body. • Consider why children are often the “forgotten grievers” and identify strategies for helping this population. • Analyze the efficacy of positive psychology interventions in treating grief. • Ascertain the relationship between traumatic events and grief as it relates to the healing process. Additional details will be posted as soon as they are available. Cardiac and Respiratory Complexities: Quickly Differentiate to Take Rapid Action is organized by PESI HealthCare and will be held on May 09, 2019 at Holiday Inn Hotel & Suites Oakland - Airport, Oakland, California, United States of America. This Conference has been approved for a maximum of 6.3 Contact Hours. Target Audience • Nurses • Nurse Practitioners • Clinical Nurse Specialists Course Description: You are assessing the patient who just returned from endoscopy following a foreign body removal. The patient is complaining of his throat itching. On assessment, his vital signs are normal, but he appears anxious. Is this normal following the procedure? Do you put him on a cardiac monitor? Should you call a rapid response? We have all been faced with the clinical dilemma when our patient has rapidly progressing dyspnea, tachypnea, fever, cough, and chest pain. What is happening? Distinguishing between heart failure, pneumonia, and ARDS can be difficult. Did you know that COPD could mask a pulmonary embolism? When your patient is wheezing, do you make the assumption it is asthma? Or could the presentation be caused by heart failure or an allergic reaction? Attending this conference will provide you with the confidence to recognize early and identify appropriate interventions to prevent further deterioration. We will discuss when non-invasive ventilation devices should - and should not - be used. If you are still struggling with blood gases, don't let blood gases intimidate you! Learn quick and easy ways to interpret ABG results. You will learn from actual patient stories to illustrate the complexities and co-morbidities of cardiac and respiratory diagnoses! Conference Objectives are: • Review the nursing assessment for patients with airway or ventilatory problems. • Describe the pathophysiologic changes that occur causing the signs and symptoms associated with airway or ventilatory problems. • Select appropriate interventions for airway or ventilatory problems. • Differentiate between ventilator modes and the use of NPPV. • Evaluate appropriate treatment strategies for high-risk ECG findings. • Plan for emerging treatments in heart failure. • Analyze management options for acute coronary syndromes. • Describe the diagnosis, evaluation, and management of inflammatory cardiac disease. Additional details will be posted as soon as they are available. CFS: CoreFirst Strategies for Optimum Function is organized by The Institute of Physical Art, Inc. (IPA) and will be held from May 17 - 19, 2019 at Outpatient Rehab Center: Sutter Alta Bates Summit Medical Center, Oakland, California, United States of America. Audience: PT, PTA, OT, SPT Attendees agree to utilize all skills of evaluation, assessment and treatment learned in this course to the extent allowed under the regulations of their professional practice act. By registering you acknowledge that your attendance does not represent authorization by the IPA, or any of its officers, to utilize any of the material learned which may lie outside of the strict interpretation of your practice act. Hours: 2.5 Days, 20-22 Hours. (Approved CEUs vary by state.) Course Purpose: CoreFirst® Strategies presents a methodical and unique functional assessment and treatment program for patients with dysfunctions of the spine. The CFS approach originated and developed by Vicky Saliba Johnson, PT, FFFMT, FAAOMPT, trains the therapist to directly correlate an evaluation of the patient’s base of support, alignment, and Lumbar Protective Mechanism to the patient’s motor activation and strong response. Building on this assessment, the participant is trained in five principles to enhance efficient posture, movement, and the automatic-not volitional-activation of the core stabilizers. These principles serve as a kinesthetic checklist for patients during ADL such as sitting and lifting. To complete this dynamic approach to active functional rehabilitation, the therapist is trained in a progressive functional exercise program which addresses flexibility, coordination, strength, stability, and functional movement patterns. The course includes an extensive manual with over 200 photos of posture, movement, and exercise. Course Objectives: • Become proficient in three IPA Functional Tests which provide immediate objective data to the therapist and the patient as to the efficiency of the patient’s alignment related to function and pain. 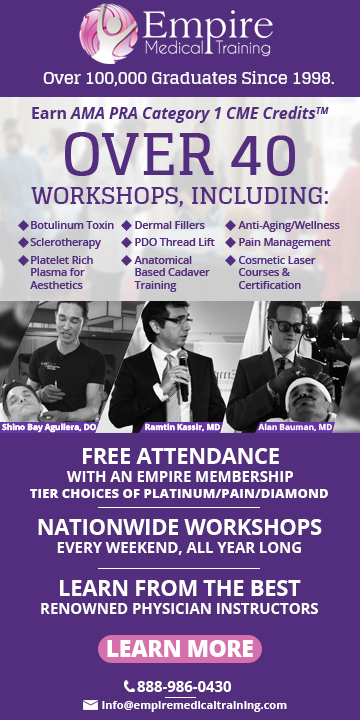 • Learn principles of acute care, positioning, and CoreFirst® principles of posture and movement which empower a patient to be independent in ADL. • Acquire the understanding and knowledge to design an appropriate and challenging exercise program that meets the individual needs of each patient for activation of the core, strength, endurance, and motor control. Treat Anxiety, Trauma, Addiction and Depression Through the Wisdom & Creativity of Story and Symbol is organized by PESI HealthCare and will be held on May 21, 2019 at Holiday Inn Hotel & Suites Oakland - Airport, Oakland, California, United States of America. Target Audience • Psychologists • Social Workers • Mental Health Counselors • Creative Arts Therapists • Addiction Counselors • Nurse Practitioners • Chaplains • Hospice Workers • Gerontologists • Educators • School Guidance Counselors Course Description: Feeling depressed and abandoned by her husband and children, a broken client walks into your office, the victim in her own story. You try traditional therapeutic techniques to no avail. Your client is stuck, failing to make progress, and starting to doubt that an end to the suffering is possible. You struggle to move her forward, but feel helpless and unable to breathe new life into the clinical approaches that normally serve you so well. Now imagine having the power to create a new story with your client, one in which she becomes the heroine in her life’s journey. The story is the way the mind naturally works, how it integrates thoughts and emotions, making stories one of our most powerful tools to transform and heal. Attend this workshop and learn how to bypass natural resistance to therapy, move stuck clients forward, and help them build new and beneficial neural pathways through groundbreaking interventions built around poems, stories, and journaling. • Evidence-based techniques will empower you to creatively and effectively treat your clients facing anxiety, trauma, addiction and depression. Interventions that you will receive include: • Detailed instruction on the strategic application of Bibliotherapy to transform the difficult client into someone with whom you can make great therapeutic strides. • Key components of storytelling and guidance through the application of simple writing exercises your clients can easily and naturally use. • Published writings and detailed handouts and instruction on applying these stories to treatment with anxious, traumatized, addicted and depressed clients. 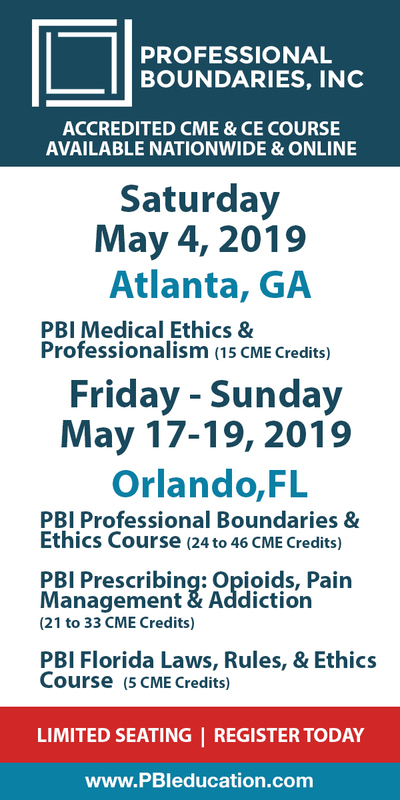 • Skill building activities and interactive exercises that will reinforce the concepts taught, the ability to practice what you’ve learned, and allow its immediate incorporation into your clinical work. Conference Objectives: • Demonstrate both prescriptive and expressive techniques to treat depression, anxiety, trauma, addiction and bereavement. • Apply journaling techniques to track and regulate client’s emotions. • Employ the principles of transformative writing in treatment for greater neural integration, more flexibility of thought, and greater range of emotion. • Implement simple writing exercises for treatment of emotional regulation and anchoring. • Use poetry reading and journaling in treatment to balance your client’s emotions. • Implement Bibliotherapy techniques in therapy to strengthen the observing ego which leads to new perspectives, behaviors and insights. Additional details will be posted as soon as they are available. Psychopharmacology: What You Need to Know Today about Psychiatric Medications is organized by PESI HealthCare and will be held on Jun 05, 2019 at Holiday Inn Hotel & Suites Oakland - Airport, Oakland, California, United States of America. Additional details will be posted as soon as they are available. Trauma & Attachment: Effective Treatment Strategies for Helping Challenging Clients is organized by PESI HealthCare and will be held on Jun 10, 2019 at Holiday Inn Hotel & Suites Oakland - Airport, Oakland, California, United States of America. Target Audience • Social Workers • Counselors • Psychologists • Psychotherapists • Therapists • Marriage & Family Therapists • Case Managers • Addiction Counselors • Nurses • Other Mental Health Professionals Course Description: Join internationally-known attachment and trauma therapist, Terry Levy, Ph.D., in this cutting-edge seminar as he teaches you concepts and skills necessary to facilitate positive change with challenging clients with trauma and/or attachment wounds. You will learn effective assessment and therapeutic techniques for children, adults and couples, based on the latest research in neurobiology, trauma and attachment therapy, and resilience. Clinical videos will illustrate how various interventions promote change and healing with the following issues: • Beliefs and attitudes • Attachment security in children and adults • Traumatic emotions, behaviors, mindsets, and brain/biochemistry • Self-regulation • Communication and resilience • Family dynamics Through video case studies, presentation and discussion, you will leave this seminar with practical and effective techniques you can use to help clients achieve symptom reduction, fulfilling lives and meaningful relationships. Course Objectives: • Determine the psychological, social, cognitive, and biological aspects of trauma and attachment disorders as it relates to clinical treatment. • Develop an assessment plan to effectively identify your client’s history of trauma and attachment wounds. • Provide techniques to improve your client’s emotional regulation skills, reframe core beliefs and improve interpersonal skills. • Utilize communication-based methods for conflict management and to promote secure attachment for your clients. • Develop strategies to help your clients achieve posttraumatic growth including the creation of positive personal and relationship goals. • Teach your clients, in-session, how to achieve secure and fulfilling relationships by facilitating attachment security. Additional details will be posted as soon as they are available. Self-Regulation Interventions for Children & Adolescents: Reduce Frustration, Emotional Outbursts & Oppositional Behaviors is organized by PESI HealthCare and will be held on Jun 20, 2019 at Holiday Inn Hotel & Suites Oakland - Airport, Oakland, California, United States of America. Target Audience • Counselors • Social Workers • Psychologists • Psychotherapists • Therapists • Marriage and Family Therapists • Speech-Language Pathologists • Teachers • School Guidance Counselors • Case Managers • Nurses • School Administrators • Educational Paraprofessionals • Occupational Therapists and Occupational Therapy Assistants • Other Helping Professionals who Work with Children Course Description: This seminar will help you to better intervene with the challenging child – the one who won’t sit still; doesn’t follow directions; often throws tantrums; or has difficulty waiting for their turn. They react impulsively and have difficulty expressing what they need or what is frustrating them. We know this child is intelligent, caring and kind, but their behavior doesn’t reflect these positive qualities. These are the children who confuse and frustrate parents and who overwhelm teachers and peers. They struggle to meet basic expectations and are dysregulated and unable to succeed socially and academically. Join clinical psychologist Dr. Ehlert and learn how to effectively intervene with emotional and behavioral dysregulation using techniques that address the sensory, language and executive functioning processing deficits that trigger them. Through discussion and hands-on activities, you will learn how to create appropriate behavioral expectations and environments that will help children with High-Functioning Autism, ADHD, Learning Disabilities and Sensory Processing Disorders. Intervene with proven emotional, behavioral and processing strategies that lead to succeed at home, school and with peers! • Recognize the signs of underlying processing deficits that lead to dysregulation • Strategies to improve self-control, social success, emotional regulation and task completion • Strategies to reduce frequency and duration of behavioral and emotional outbursts • Problem-solving strategies to create positive structure and expectations, positive coping and self-regulation • Brain training exercises that will increase self-regulation Objectives: • Communicate how sensory, language, and executive skills impairments create fight/flight/freeze and defensive responses that lead to dysregulation and related behavioral issues in children. • Select the appropriate intervention strategies to improve student skills including self-control, social success, emotional regulation and task completion. • Employ behavior modification techniques and problem-solving strategies to diffuse students' escalated and oppositional behavior. • Implement environmental strategies to accommodate children’s processing deficits and emotional regulation needs. • Utilize problem-solving strategies to develop appropriate behavioral expectations and coping mechanisms for improved self-regulation skills in students. • Apply cognitive restructuring strategies to reduce frequency, severity and duration of children’s behavioral and emotional outbursts. Additional details will be posted as soon as they are available. AFTA 41st Annual Meeting & 8th Open Conference: Rupture and Repair: Remaking Relationships in Families and Communities is organized by American Family Therapy Academy (AFTA) and will be held from Jun 20 - 22, 2019 at Oakland Marriott City Center, Oakland, California, United States of America. This year’s conference builds on last year’s foundation for hope and action. From relational activism-as a way to find spaces where we can learn more about how to show up for one another in relational ways that offer support and solidarity to examining rupture and repair in relationship-to continue standing with and being led by the desire to make room for connection and doing what’s right by one another. This year we will focus on “Rupture and repair: Remaking relationships in families and communities,” to examine how we use our knowledge to address ruptures and repair-in couples, families, communities and in our relationship with the environment and non-human beings, and to devise strategies for creating sustainable change and repair. The recent past in this country has brought tremendous ruptures in relationships at micro and macro levels. As systems thinkers, we have important contributions to make relative to the many possibilities to address ruptures and repair-in training, consultation and research settings, as well as in organizations both here and abroad. We must prepare to continue addressing the impact of these ruptures while acknowledging that in the end repair is critical. Ruptures can be opportunities to reconsider our views and behavior and to strengthen relationships. Additional details will be posted as soon as they are available. California Elder Law - 2019 is organized by PESI HealthCare and will be held on Jul 19, 2019 at Holiday Inn Hotel & Suites Oakland - Airport, Oakland, California, United States of America. Course Description: If you provide services to geriatric populations, your organization faces a legal and regulatory maze. In order to understand the needs and concerns of patients and their families, and to provide appropriate services and referrals, you are expected to have a thorough understanding of common and complex issues related to advanced care planning, accessing the health care system, informed consent, Medi-Cal eligibility, Veteran’s benefits, conservatorship, aging in place, identifying elder abuse – and more. Ms. Thorp and Ms. Fielder will provide current information that is crucial to understanding the legal and financial issues which impact the everyday aspects of providing health care services. You will leave this seminar with more confidence in care planning and case management of your geriatric patients. Objectives: • Compare the purpose of four different Estate Planning documents. • Identify types of care covered by Medicare and long-term care Medi-Cal. • Discuss revisions in Medicare, Medi-Cal and the Affordable Care Act. • Describe types of Veterans' benefits. • Compare types of conservatorships. • Discuss signs of elder abuse and understand strategies for preventing it. Additional details will be posted as soon as they are available. KJD: Knee Junction Dilemma (KJD) is organized by The Institute of Physical Art, Inc. (IPA) and will be held from Aug 24 - 25, 2019 at Outpatient Rehab Center: Sutter Alta Bates Summit Medical Center, Oakland, California, United States of America. This Conference has been approved for a maximum of 16 Contact Hours. Audience: PT, PTA, OT, SPT Attendees agree to utilize all skills of evaluation, assessment and treatment learned in this course to the extent allowed under the regulations of their professional practice act. By registering you acknowledge that your attendance does not represent authorization by the IPA, or any of its officers, to utilize any of the material learned which may lie outside of the strict interpretation of your practice act. Course Purpose: This course is a lab intensive introduction to the Functional Manual Therapy® system of management for the knee. Through lecture and demonstration, the participant will gain a better understanding of anatomical and biomechanical presentation of efficient knee function, and the interdependence between knee function and healthy motions of the foot/ankle and the hip. With the recognition that the knee is greatly influenced by the motions of the entire lower extremity, the participants will be guided through functional evaluations and assessments to identify key dysfunctions of the lower extremity to better guide interventions aimed at enhancing knee function. The participants will first be guided through select interventions for the foot and ankle and the hip prior to systematically working through an extensive series of direct treatments to the knee and surrounding structures, all with a focus on restoring a more optimal state of function to the lower extremity. Participants will be instructed to utilize the Functional Manual Therapy® clinical reasoning system for examination, evaluation, and development of a plan of care for management of the patient with decreased function secondary to mechanical capacity, neuromuscular function and motor control impairments of the knee. Through demonstration and supervised lab sessions, the participant will implement an appropriate plan of care, and utilize Functional Mobilization techniques to treat the identified dysfunctions. This course includes supervised and systematic pre and post functional and structural assessment to determine the effectiveness of the selected intervention.